SINGAPORE, 24 July 2018 – Singapore Changi Airport handled 5.57 million passenger movements in June 2018, a 6.9% year-on-year increase. Aircraft movements grew 3.1% at 31,870 landings and takeoffs, while airfreight throughput dipped 0.8% to 170,630 tonnes, compared to the same period last year. In June, traffic between Singapore and Europe grew 19%. Among Changi’s top 10 markets, Indonesia (+11%) and Japan (+12%) were the fastest growing, boosted by travel to Denpasar and Tokyo. Routes to London, Melbourne, Mumbai and Shanghai also registered double digit growth. For the first half of the year, Changi Airport registered 32.1 million passenger movements, 5.5% higher than the same period last year. 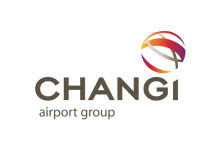 Nine of Changi’s top ten markets - Indonesia, Malaysia, China, Thailand, Australia, India, the Philippines, Japan and Vietnam – recorded higher traffic, with India (+13%) registering the strongest growth. During the six months, aircraft movements rose 4.2% to 190,970, while airfreight throughput grew 2.7% to reach 1.04 million tonnes. Growth was observed for exports (+5%) and imports (+3%), while transshipments remained steady. Among Changi’s top 10 cargo markets, India (+7%) and Japan (+10%) grew the fastest. 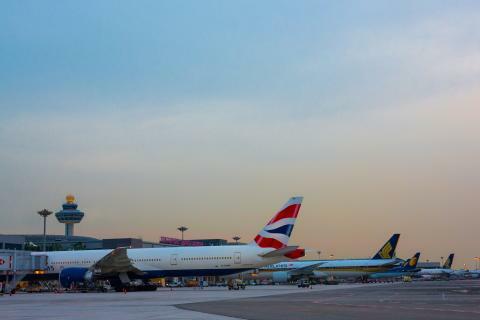 As at 1 July 2018, more than 100 airlines operate at Changi Airport, connecting Singapore to some 400 cities in about 100 countries and territories worldwide. With more than 7,200 weekly scheduled flights, an aircraft takes off or lands at Changi roughly once every 80 seconds. New Services – Following LOT Polish Airlines’ new Singapore-Warsaw connection last month, the airline has added one new frequency, bringing the total number of weekly services to four. On 2 July, Scoot launched a new thrice-weekly service to Nanchang, China. New Restaurants & Stores – T2 welcomed a host of new F&B outlets in the public areas of the terminal. In the Departure Hall, Krispy Kreme, Spanish frozen yogurt chain, Ilao Ilao, and Taiwanese bubble tea store, TP Tea, have opened, with the latter two being the first outlets in Singapore. In the Arrival Hall, five new F&B options - Coffee Toast Express, Crave, Pezzo, Stuff’d and Yolé are now available.